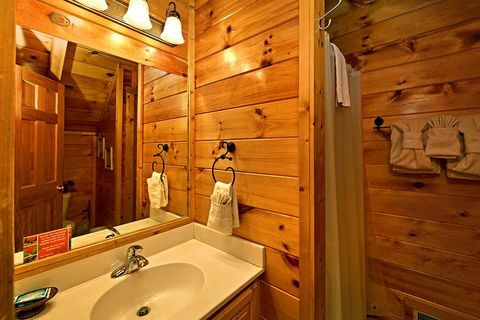 "Little Cove Hideaway," a 2-bedroom cabin rental in Pigeon Forge, rests in a tranquil Smoky Mountains cove just off the action-packed Pigeon Forge Parkway Light #10. 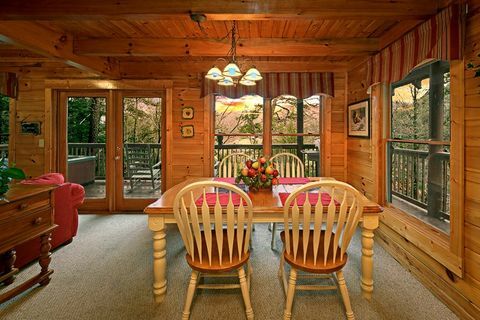 Guests staying in this lovely Pigeon Forge area vacation rental will appreciate their location at the start of the Pigeon Forge-Gatlinburg Spur, a scenic route along the Little Pigeon River leading into Downtown Gatlinburg, which gives them access to the attractions of both cities. 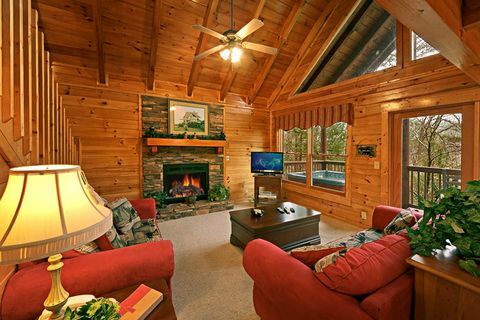 Your Pigeon Forge area vacation rental provides an affordable opportunity to embrace log cabin living in the Tennessee Smoky Mountains. 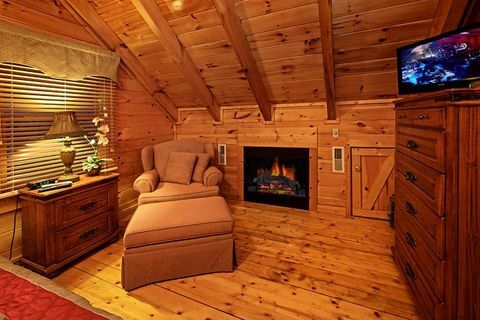 Step into the cabin's comfortable living area that boasts plush seating, a sleeper sofa, and a seasonal gas fireplace with floor to ceiling stone mantle. 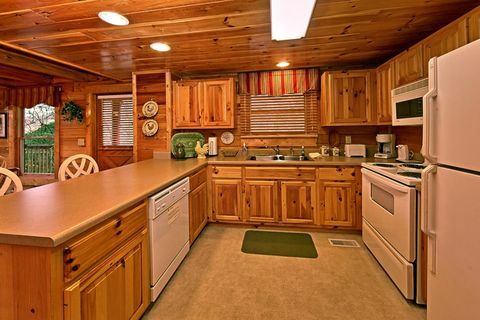 Your cabin's main level also features a spacious kitchen for preparing meals and a dining area to enjoy meals together. 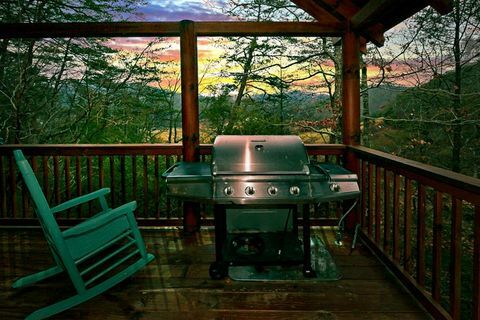 Outside, host a cookout on either the charcoal or gas grill or take a dip in the soothing waters of your hot tub. 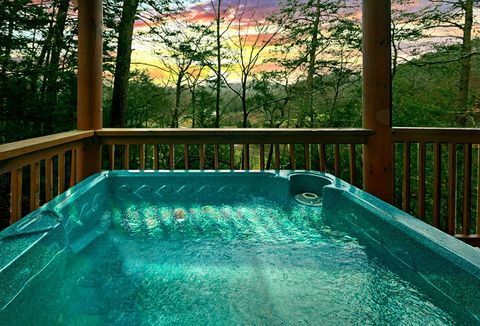 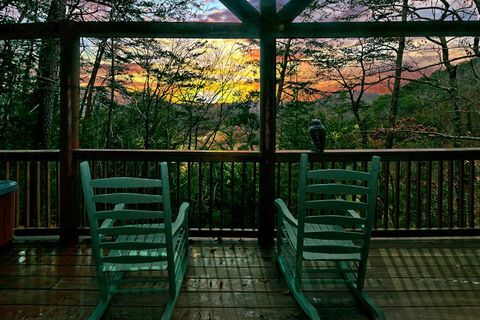 When you're not out and about exploring all the Smoky Mountains area has to offer, sit back and relax and enjoy a few rounds of pool or watch the sunset in a rocking chair out on the deck. 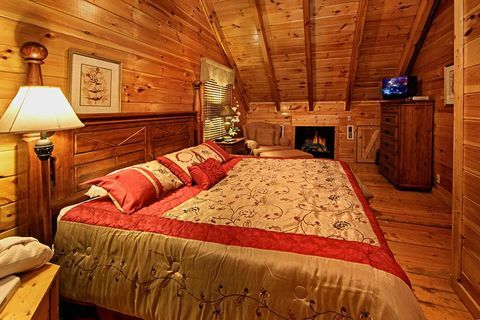 Back inside your cabin rental in Pigeon Forge, the upstairs master suite provides a romantic setting with king-size bed, a cozy sitting area next to the electric fireplace, an in-room jacuzzi, private bath, and a flat-screen television. 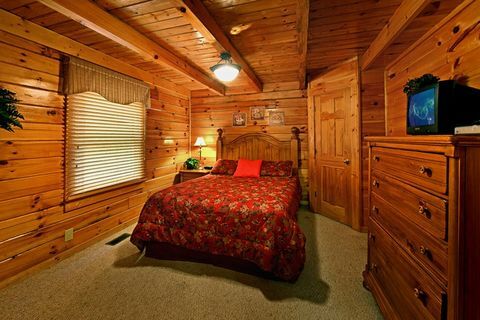 Downstairs, the beautifully decorated second bedroom houses a queen-size bed, personal television and is located adjacent to the full bath. 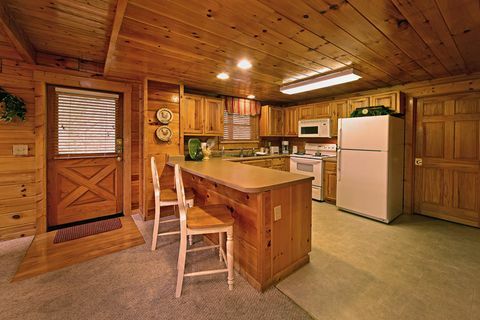 Your cabin rental in Pigeon Forge is the perfect choice for families or couples looking to experience cabin life in the Smokies. 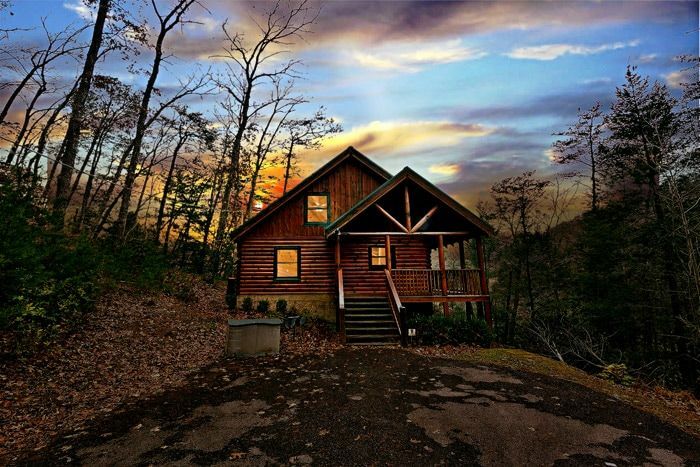 If you have an even larger group, "Little Cove Hideaway" is located next door to "Suite Retreat," another Pigeon Forge vacation rental that creates a great cabin combination for family reunions, church retreats, or other group gatherings. 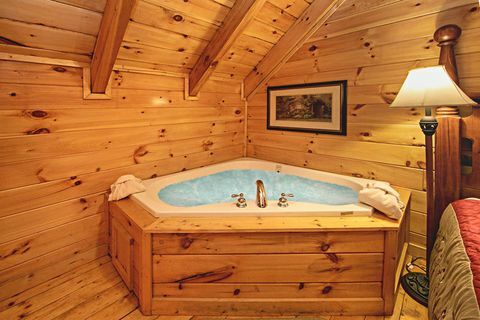 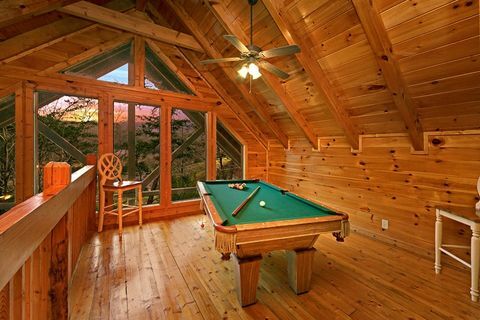 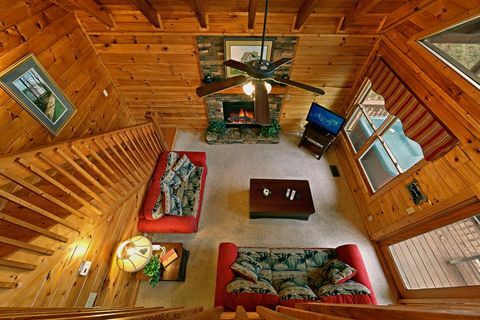 Escape to the Smokies in a cabin rental in Pigeon Forge today. Book "Little Cove Hideaway" or another Pigeon Forge vacation rental online with Cabins USA and get an immediate Online Cabin Discount!